BIG INSIGHTS ON BIG MEN: As reported in the New York Times, Kevin Anderson’s coach Neville Godwin noted the reserved personalities of numerous tall men on tour, such as John Isner, Ivo Karlovic and Marin Cilic, and that many shorter players tend to be more feisty. THE MURRAY FACTOR: What’s in a name? Andy Murray’s withdrawal played a huge role in the wide-open bottom half of the men’s draw, and coach Kamau Murray has been key to Sloane Stephens’ emergence at this year’s US Open. HOT COCO WANTS TO BE THE GREATEST OF ALL TIME: Coco Vandeweghe may have been blitzed by Madison Keys, but there’s still some hot Coco simmering at the US Open. That would be the 13-year-old African-American, Coco Gauff, whom Inside Tennis wrote about earlier this year. Bringing outsized power and strong serving to a straight-set win over the well-named NorCal phenom Katie Volynets, Gauff is into the semis of the junior girls tournament. So what’s the toughest question Coco’s parents have thrown at her? “They throw all sorts of questions to me – and they’ll tell me if I’m saying “um” too much,” she said, with nary an “um” to be heard. “That was their biggest critique of me. I’m trying to do better and I’m still learning how to answer different kinds of questions.” Don’t worry Coco, you’re doing fabulously. And, yes, someday you, too, may well be a champion. She agrees. The Floridian’s intention is to become the greatest player of all time. RARE: FOUR AMERICAN SEMIFINALISTS. RARER: NONE ARE SERENA WILLIAMS. I LIKE WATCHING BLACK WOMEN DO COOL STUFF ON TV. THIS WEEK, THAT MAKES ME A TENNIS FAN. 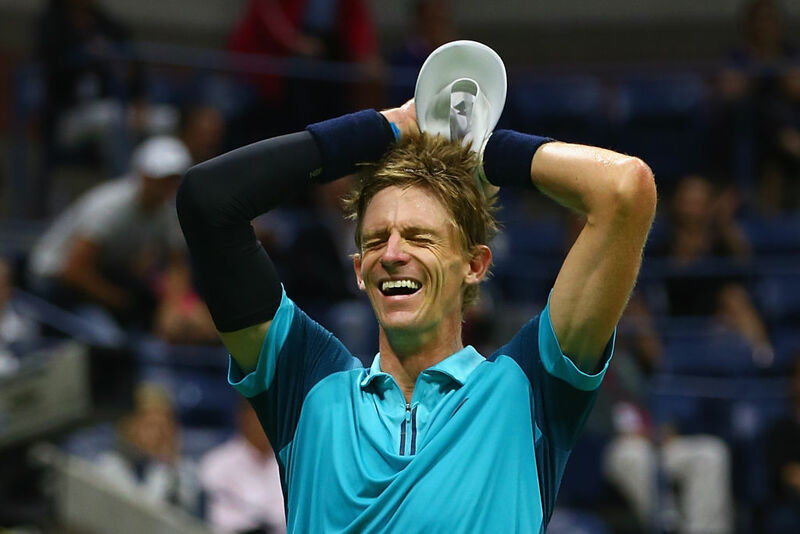 GETTING THE “BESTA” OF BUSTA: South African Kevin Anderson, ranked No. 32, is the lowest-ranked player to reach the men’s US Open final in the Open era. The 6’8” Anderson lives in Delray Beach with his wife, and the American hard courts have been key steppingstones in his 15-year career – he’s picked up two of his three titles at Delray Beach and Winson-Salem. But today he stepped out onto a much bigger stage, Arthur Ashe Stadium, where he got the “besta” of Busta. Translation: he beat Spain’s Pablo Careena Busta in four sets. Knowing that South Africa was key to Arthur Ashe’s history and that Ashe was influential in South Africa’s, Inside Tennis asked Anderson for his thoughts.